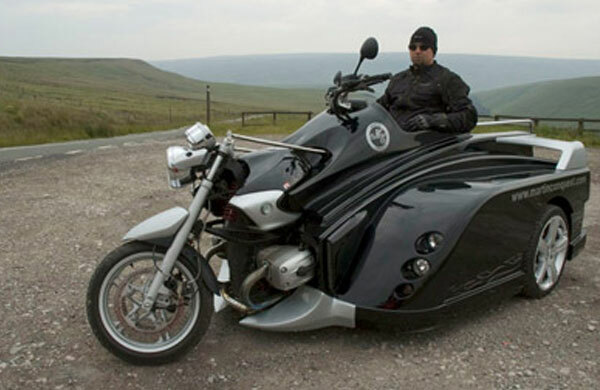 The Conquest Wheelchair Motorcycle is probably the most liberating innovation. The credit for developing this wonder mobile goes the Mobility Works, an innovative company based in Ohio. This impressive and aggressive looking motorbike dispels the myth that people with restricted mobility cannot drive motorbikes. Although top cars that are accessible to wheelchair-enabled drivers are more common, this is probably the best example of a motorbike that can be driven by wheelchair-enabled people. Although the concept is quite unique, the makers have sought inspiration from a number of design sources. For instance, the basic design is that developed and patented for the Martin Conquest. Secondly, the skeleton is based on the BMW 1170cc motorbike. The aim of the manufacturers behind the Conquest Wheelchair is not simply to provide access to mobility to wheelchair-enabled people but to provide the same thrill and excitement of cruising down the open road in a superior motorbike. As stated previously, the motorbike is powered by an 1170cc engine. In addition, it is provided with a traditional clutch that offers six speed levels. Gears can be changed easily with the help of a push-button. A mechanical reverse gear allows the driver to change gears easily. While the makers have ensured safety and balance through giving the Conquest a tricycle design, they have not compromised on speed. The Conquest Wheelchair Motorbike can attain maximum speeds of 105 miles per hour. In less than 8 seconds, it can reach from 0 mph to 60 mph. Due attention has also been paid to the design of the car. Since the makers wanted to provide the same aggressive feel as that of traditional hog bikes, the wheels are 17 inches in diameter and are made from cast alloy. The motorbike is also special because it provides an additional space for another passenger. The seat is accessible by wheelchair. Mounting on the Conquest Wheelchair Motorbike has been made as convenient as possible. A ramp has been provided to the rear of the vehicle. In addition, a secure locking mechanism helps to prevent the driver from losing his or her balance and position. Getting off is also just as easy as getting on. At the touch of a release button, both the driver and the passenger can get off via the rear ramp. The model has been approved after complying with all the safety standards in the United States. It was recently exhibited at the National Veteran’s Wheelchair Games in Denver and going by the response it received, it may not be long before these may hit the road. TagDesign and Features Safety and Accessibility The Potential?